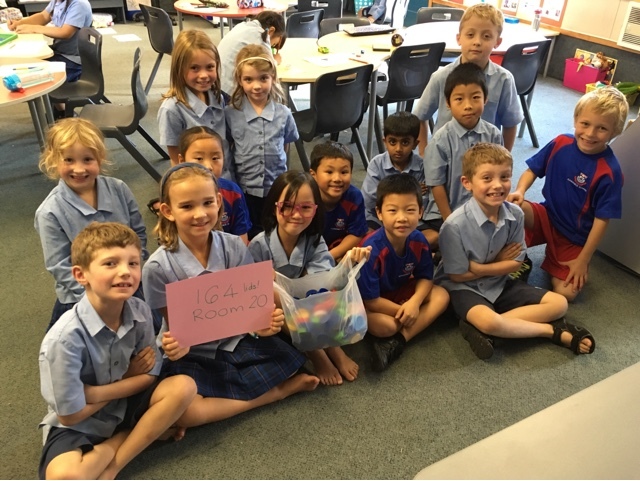 Room 20 @Sunnyhills: Woohoo! 164 plastic milk bottle tops! Thank you to all those who have collected plastic milk bottle tops for us as part of Sunnyhills enviro art. Jacob and Dean and Haden and Carter counted them up and we have 164 so far yay! Keep collecting rather than throwing them into the recycling bin and we can create art at school with them!